They all gazed in amazement as the ball fell into two halves, revealing a crystal of many sparkling colours. Then from the crystal emerged a shining rabbit, the like of which the Wabbit had never seen. Although the Wabbit was transfixed, he was aware of the reactions of his friends and could discern faint snatches of conversation. "It’s a rabbit. I can’t believe it," murmured Lapinette. "The Philosopher’s Stone is a rabbit," sighed Skratch. "How ineffable!" 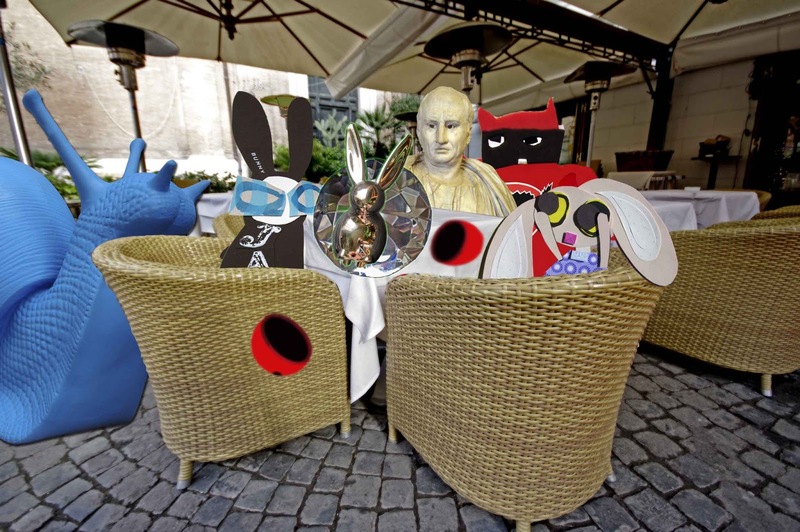 The Wabbit could hear Cicero making a speech. "The truth is eternally relevant and is presently true." Skratch seemed to call through layers of cotton wool. "The sign, the sign, the sign." The Wabbit gradually became aware of another voice. "Wabbit, you are the chosen one," said the shining rabbit. The Wabbit’s mind became clear as the crystal that emerged from the ball. "Chosen by whom?" he asked sharply. "By yourself," said the rabbit. "For what?" said the Wabbit. "For the great transformation that is yet to come." "I need to know more," said the Wabbit - but the shining rabbit was already disappearing into the crystal. "You already know," called a voice that the Wabbit recognised as his own. The Wabbit shook himself and suddenly he was back with his friends. "Did you hear what it said?" he asked. Everyone looked at the Wabbit, then looked at each other and shook their heads. "Hear what?" they asked.